In a Dutch oven or other large pot, saute the onions in olive oil until translucent. 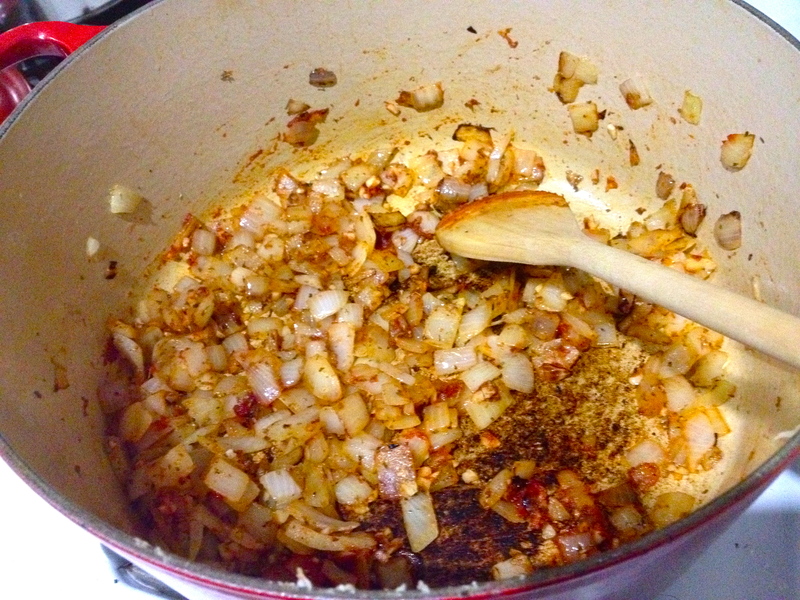 Then add the garlic, oregano, cumin, and tomato paste. Stir and cook 1-2 minutes, until fragrant. 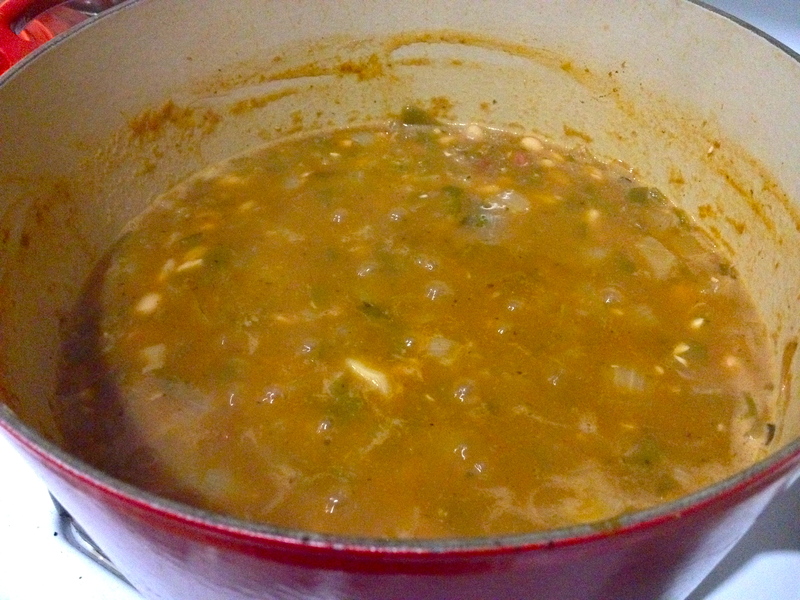 Pour in the green chiles, beans, and water/broth/stock. Bring to a boil. 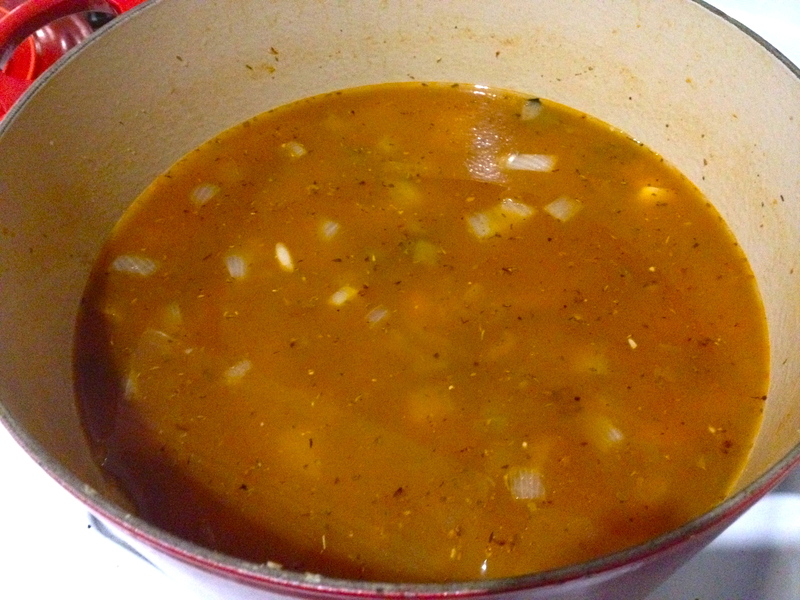 Reduce heat and simmer for an hour, uncovered. Remove from heat and season with salt and pepper. That’s all! Probably one of my easiest recipes. Top your big ol’ bowl with shredded cheese or sour cream, a squirt of lime juice, and a sprinkling of chopped green onion. Yummy. Next Cauliflower Soup with Herbed Croutons. 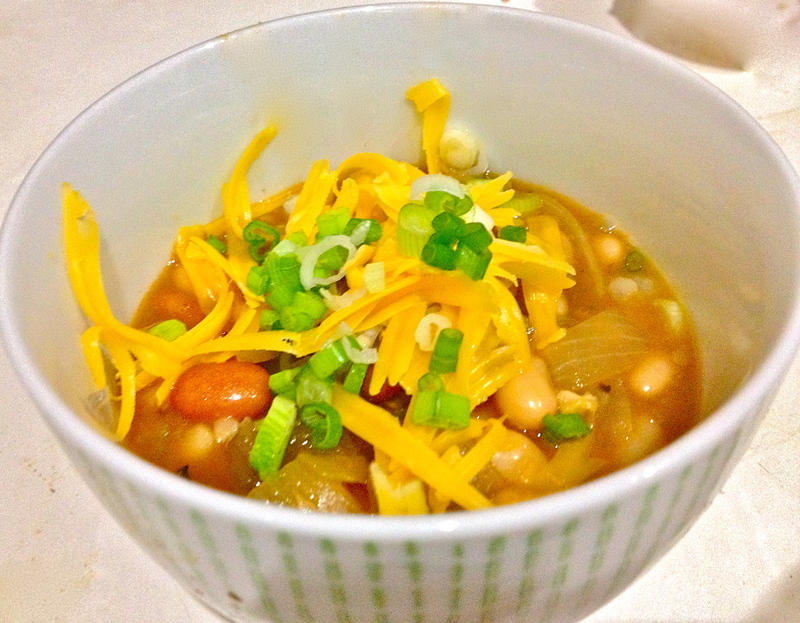 I’ve never heard of white chili, but this looks delicious! Probably great for freezing as well, I’d imagine. I’m sure it would be great for freezing! This batch didn’t survive long enough to be frozen though – major chowdown. OK Kel- This was the fastest and easiest crowd pleaser EVER…..everyone was crazy for it! It seemed impossible that so few ingredients could deliver such amazing and complex flavors ….excuse me while I go break up the fight over the leftovers!! !